The 2011 vintage was very successful for us, with a long cool spring and milder summer temperatures. 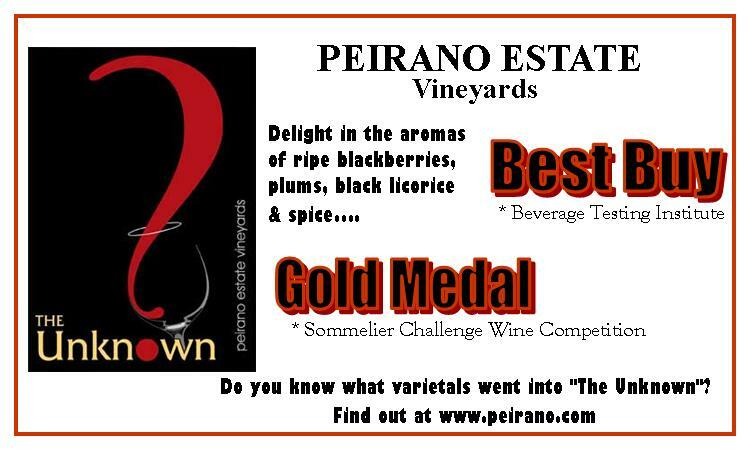 The pay off of this excellent harvest is to be experienced in this delicious blend from Peirano Estate Vineyards. The four key grapes that make up this blend need to be managed very differently, but all benefit from the use of techniques like deficit irrigation, crop thinning and leaf pulling to insure full and proper ripening. All four varietals were hand harvested into small bins to underwrite health and quality. Once we have received the fruit at the winery, we keep each varietal separate through the entire fermentation and aging process, so that each grape type can express its true character. For this wine each part of the blend added something positive. Syrah is soft and fruity and easy to drink, and the tannins that fill in the middle comes from the Petite Sirah and also a bit from the Cabernet Sauvignon. The Viognier is added to increase the fruit characters and also improve the tannin structure. Also white wines can be used in small percentages to increase the color of a red wine (This is called co-pigmentation), but it is not used for that purpose in this blend. The wines were racked after completion of malolactic fermentation and then aged for 12 months in a combination of French and American oak cooperage, including barrels from Demptos, Vernou and Sequin Moreau. 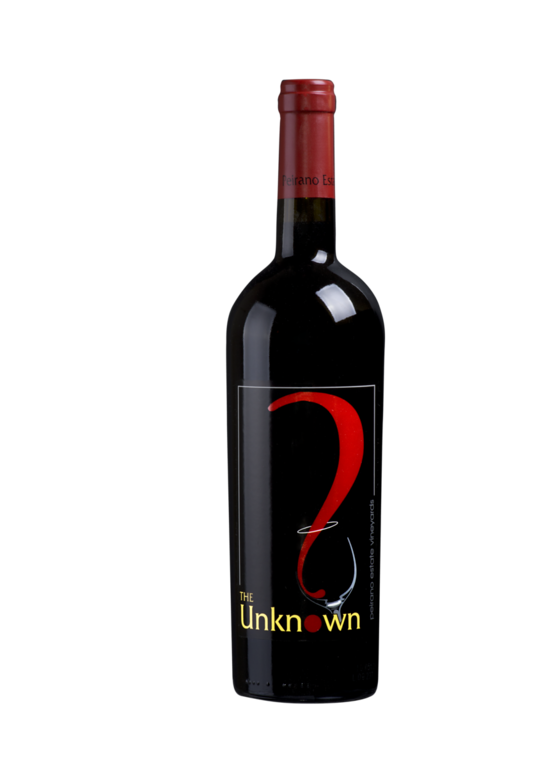 As you begin your journey into "The Unknown", delight in the aromas of ripe blackberries, plums, black licorice & spice. As you journey further, to that first sip, savor the lush, well rounded, full mouth filling flavors of plums, currants, figs and black raspberries. At last it all comes together. Find the completeness of your journey's end with the haunting, lingering finishing characteristics of roasted coffee, black & red berries dipped in chocolate and blackberry pie. Now the challenging question: Do you know what varietals went into "The Unknown"?